The speed crossing of the route from peak Kom to cape Emine has intrigued the sportsmen since the 70s of the last century. The attempts to cross the route over the years are not much for the fact that running long distances and mountain biking have never been a priority in the development of the sport but it is rather an activity for enthusiasts and for private clubs. And yet, there are a few crowning achievements of the Bulgarian sportsmen in mountain running and biking as well. A curious fact is that in spite of the rapid technological progress in the production of sports equipment and supplements for sportsmen, the achievements haven’t changed much for the last 30 years. Another curious fact is that the records of runners and bikers are very close to each other. This suggests how hard the route is with its various terrains, significant displacements and lack of infrastructure. The first written information about speed crossing of Kom-Emine dates back to the 80s of the twentieth century. The idea of a record existed already and it was a matter of time to make it happen. Already in 1986 the mountaineers Petko Lazarov, Ivan Boytchev, Ivan Ivanov and Bozhidar Dimitrov from the tourist association “Planinets” (“A mountaineer”) crossed the route in 6 days. It was the proof that a personal achievement was possible as long as the organization was better and the weather forecast appropriate. Later the same year, in September, the alpinist and athlete Lyubomir Palakarchev from the tourist association “Cherni Vrah” achieved his third crossing of the route. Thanks to his excellent preparation and right strategy, he crossed the route in 5 days and 18 hours. By this time, it was a crowning achievement in mountain running, but Lyubo knew that he could achieve better results thanks to the experience he gained. A year later, in September 1987, Lyubomir Palakarchev and Ivan Ivanov made another attempt to set a record – according to the initial preparation – in 4 days and a half. Ivan Ivanov quit on the second day and Lyubo crossed the route being late: in 5 days and 14 hours. This was an improvement of his own record. This was a remarkable achievement for Bulgarian sport which nobody could outrun for decades on. Another even more impressing fact is that the equipment and communication technologies during the 80s were on a different level. Luybomir had run dressed in ordinary shorts only, naked chest and a torch in hand because at the time being headlamps didn’t exist yet. He had a driver who met him at the passes. What followed was a period of a calm and several unofficial attempts to improving the record of Lyubomir Palakarchev. It was not until the year 2014 that they started to talk about improving the record again. 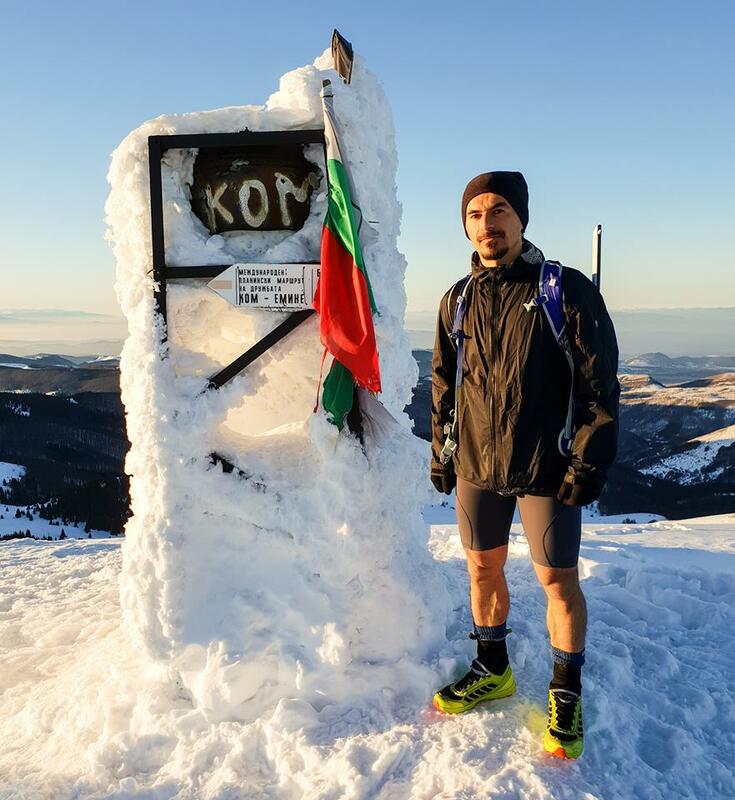 Kiril Nikolov (DISL) – one of the elite Bulgarian runners, made another attempt to improve the record but due to a trauma he cancelled the attempt in its last stage. The new record was realized one year later, in 2015. The runner Bozhidar Antonov ran the distance in 5 days and 10 hours from 6-th to 11-th of August. This is Bozhidar’s forth attempt for speed crossing the route and first successful finish at cape Emine. Although, he gets lost several times, he manages to beat the 30-year-old record of Lyubomir Palakarchev with 3 hours and 50 min. This achievement was a part of Bozhidar’s long-term plan and represented a particular training for a further result of 4 days which would happen a few years later. 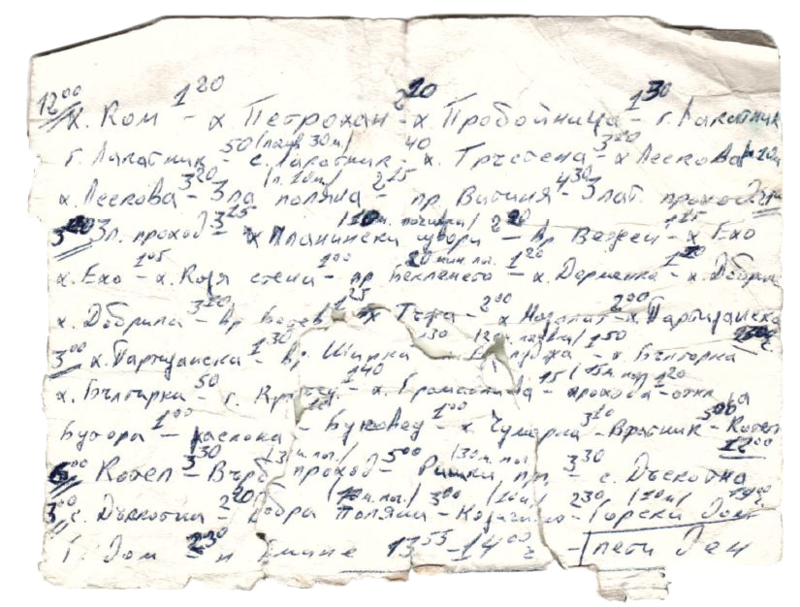 Later in the same year – 20th of August – Kiril Nikolov (DISL) made a second attempt which was successful and resulted in 4 days and 13 hours. DISL’s trainer was Nataliya Velitchkova and his achievement received wide media coverage. After a time of calm on the Kom-Emine records, in 2017 the athlete Antoniya Grigorova announced that she would make an attempt to run the route. Her trainer was Nataliya Velitchkova and the attempt began on 2nd of August. 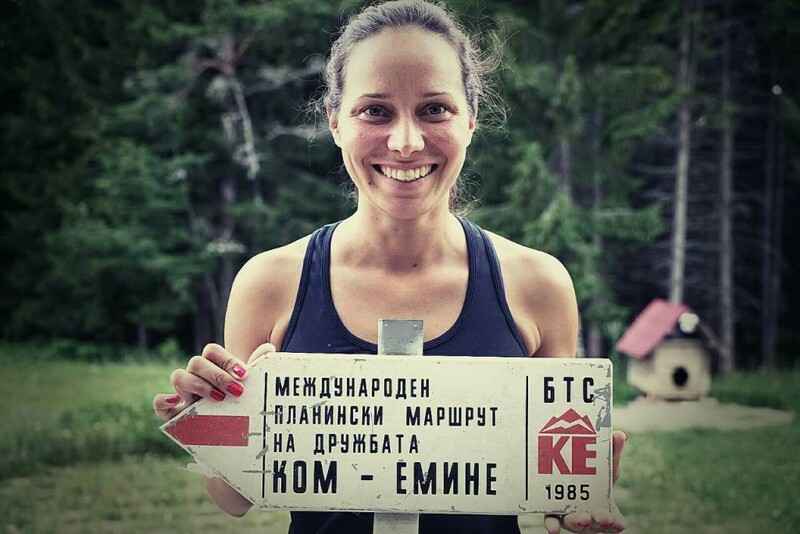 Antoniya ran the distance to cape Emine in just 5 days and 23 hours, which is a sheer record and laid the foundation of new standard in mountain running for women in Bulgaria. Meanwhile Bozhidar Antonov’s attempts for speed crossing continue in 2016 and 2017, without new record. On 10th of August 2018 Bozhidar began a new attempt and succeed in 4 days, 8 hours and 27 minutes. This is a new record and a step towards Bozhidar’s long-term goal to run the distance in less than 4 days. After the record in the end of the summer, Bozhidar Antonov does not slow down and decides to cross Kom-Emine in winter. This time without a record in mind but nevertheless sets one. On 27th of February he reaches cape Emine and sets a record for the fastest crossing of the route in winter – 9 days, 4 hours and 51 minutes. Antonov moves without the use of ski but with the support of his crew. The route posses difficulties to the ultramarathon runner: strong winds, temperatures of –20°С and places with snow up to the chests, which slows down the movement to 20 km for 10 hours. 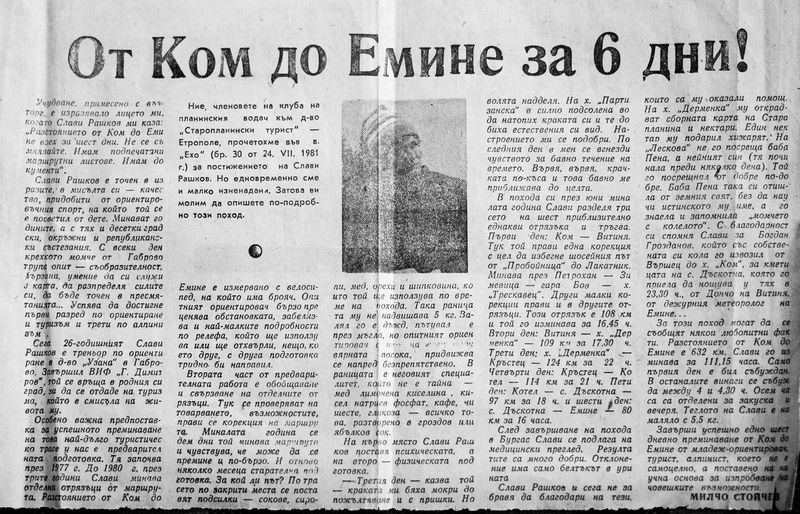 Despite all difficulties Bozhidar would still run Kom-Emine… in summer. Until now the records for the fastest crossing on foot of Kom-Emine is 4 days, 8 hours and 27 min. (Bozhidar Antonov, 2018) and 5 days and 23 hours (Antoniya Grigorova, 2017). Fastest crossing in winter – 9 days, 4 hours, 51 min. (Bozhidar Antonov, 2019). 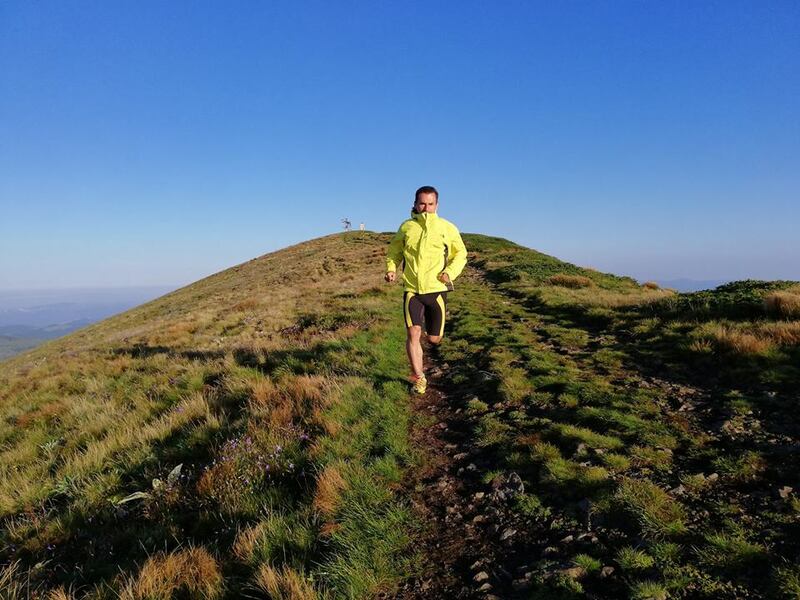 In the summer of 2018 Kaloyan Peychev (Kofeto) attempted to speed cross the three longest tourist treks in Bulgaria (E3 – Kom-Emine; E4 – Vitosha, Verila, Rila, Pirin, Slavyanka and E8 – Rila-Rhodope mountains). The project was called The Big E (Golyamoto E) and is realized with the help of Tourist Association Oilaripi. As a mountain guide, alpine climber and extreme skier Kaloyan managed to run the distance of 1264km for less than 26 days. This is the first register try for speed crossing the three routes consequently and without any support teams. 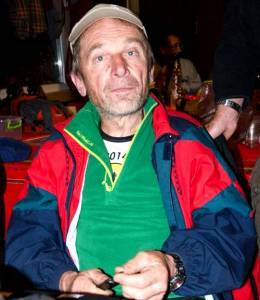 The remarkable achievements of the famous mountain orienteering sportsman Marin Dikov could be mentioned amongst the records of speed crossing on foot. He has successfully crossed the route more than 25 times. As for Nacho Ivanov, he is the guide who has guided the most groups on the route. In 2016 the youngest participant crossed the route: this is the 11-year-old Antoniya Ratcheva. The record of speed crossing on a bike from peak Kom to cape Emine is of the same interest as foot crossing, especially over the last few years which are a real bloom for mountain bike crossing, a sport which has become more popular on a worldwide level. The first written data for a record in mountain bike crossing are from 1981 when mountain orienteering sportsman Slavi Rashkov rode the distance in 6 days. Taking into account the weight and the qualities of the bikes at the time, one should consider the achievement remarkable. The preparation took 3 years, a period during which Slavi rode the route several times and established a detailed plan which took into consideration the right distribution of the strength on each stage of the crossing. What followed was a long period during which there were no data for attempts of a record improvement. It was not until 2011 that Rayko Stefanov set a new standard for mountain bike racing by riding the distance in 5 days and 12 hours. The following achievements are rather similar to this one. In 2014 Borislav Yordanov made a record of 5 days and 4 hours. After that Rayko Stefanov tried to improve the achievement unsuccessfully. Over the last few years, the word has it that it is possible to cross the route in 4 or even less days. In the summer of 2017 this became reality. Season 2017 is the one with most broken records in the history of Kom-Emine, both in the mountain bikе crossing and with the ultramarathon runners. On July 22nd 2017 Ilko Iliev from “Mamut” cycling club attempts to cross the 600km distance with the help of a crew. He succeeds to get to the end at night on 25th of July, which made the record 90 hours and 29 minutes, or just 3 days and 18 hours. He becomes the first person to make the distance in less than 4 days. Several days later on 1st of August 2017 Borislav Yordanov from “Velo Raptor” cycling club begins the journey with a support crew by his side. The attempt called “Bikecarring crusade” (“Velonosen pohod”) ends on August 4th by breaking the record with 9 hours – just 3 days, 9 hours and 1 minute. At the finish line Borislav is convinced that the route can be passed in less time and that he himself can set a new standard for crossing in less than 3 days. In a window of perfect weather conditions Borislav Yordanov starts from peak Kom, nearly a month later on 10th of September 2017. “Bikecarring crusade II” (“Velonosen pohod II”) is crowned with successful ending on 13th of September with a new record of 2 days, 22 hours and 49 minutes. 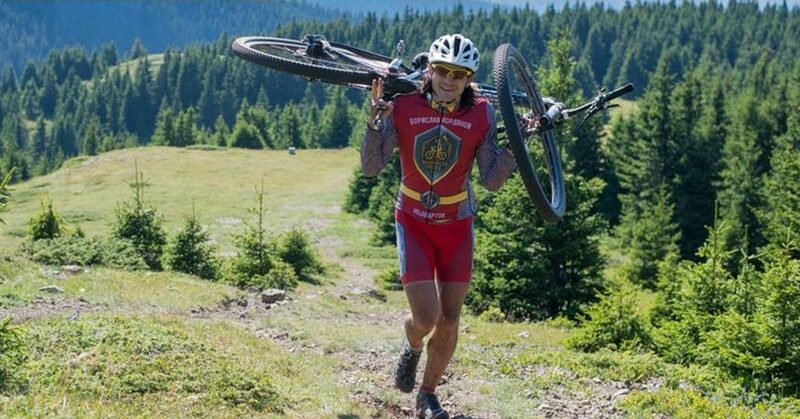 With fall 2017 coming up fast, the season of records comes to a close with the success of “Bikecarring crusade II” (“Velonosen pohod II”).The next successful attempt belongs to Ilko Iliev in the rainy summer of 2018. 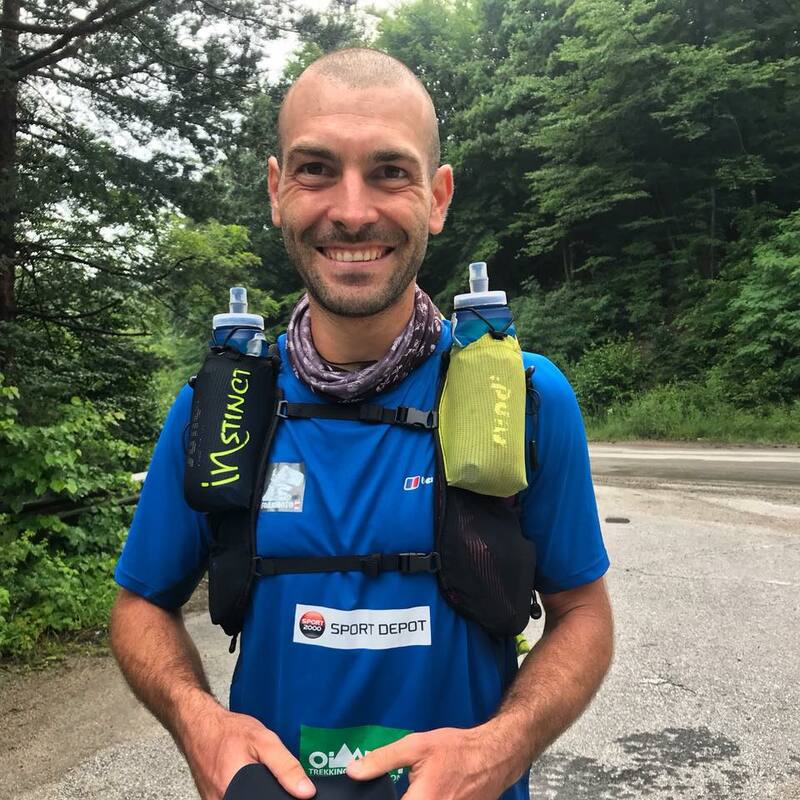 Ilko Iliev’s attempt was organised and supported by sport club Vertical world begins on 9th of August 2018 and ends on 12th of August, just in 2 days 22 hours and 4 minutes – 35 minutes faster than the previous best achievement. Up until now the record for the fastest crossing of Kom-Emine with support crew belongs to Ilko Iliev – 2 days 22 hours and 4 minutes on 12th of August 2018.